Dale Miller, 71, of Charles City passed away peacefully at his home surrounded by his loving family on July 5, 2017. A funeral service for Dale will be held 10:30 a.m. on Monday, July 10, 2017 at Saint John Evangelical Lutheran Church in Charles City with Pastor Bill Odermann officiating. Burial will follow at Sunnyside Memory Gardens in rural Charles City. A visitation will take place from 5 p.m. to 7 p.m. on Sunday, July 9, 2017 at Hauser Funeral Home. Dale Gene Miller was born January 28, 1946 in Charles City, Iowa to Victor and Helen (Horn) Miller. He grew up in the Charles City area and graduated from Charles City High School. Dale went on to take a building trades class at NIACC in Mason City. His first job was at Oliver/White Farm. On October 1, 1965 Dale was united in marriage to Sandra Anonson at Saint John Lutheran Church in Charles City. To this union two daughters were born: Tami and Janan. Dale was drafted into the Army and proudly served his country in Vietnam. Upon his return to the states, Dale worked again at Oliver/White Farm for a time before opening Miller’s DX Filling Station in Charles City with his brother Fred. In 1976 Dale got into the insurance business, working as an insurance adjuster for Floyd County Mutual until his retirement. 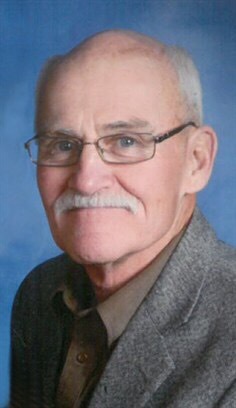 Dale was a lifetime member of Saint John Evangelical Lutheran Church in Charles City and a member of Vietnam Veterans of America, the Disabled American Veterans, American Legion Post 174, VFW Post 3914, and the Charles City Ceremonial Unit. He enjoyed fishing and birdwatching, restoring cars, especially alongside his grandson Cody and son-in-law Art, and attending his grandchildren’s sporting events. He is survived by his wife of 51 years Sandy Miller of Charles City; daughters: Tami Jakel of Charles City and Janan (Art) Wegner of Marble Rock; grandchildren: Amber, Kaleb, Kirsten, and Kyle Jakel, and Cody and Cassidy Wegner; siblings: Fred (Patty) Miller of Charles City and Martin (Emily) Miller of Floyd; mother-in-law: Irene Anonson of Charles City, and many other extended family members and friends. Dale was preceded in death by his parents. In lieu of flowers the family suggests memorials be made to the Floyd County Cancer Fund at First Citizens Bank in Charles City. This entry was posted in Obituaries and tagged Charles City, dale miller. Bookmark the permalink.